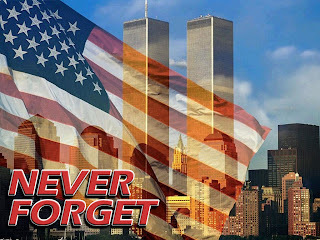 Many of us watched the Question Time Special immediately following the 9/11 atrocity in utter disbelief as it took a rabid and disgusting anti-American line. The former US ambassador to Britain, Philip Lader, was almost reduced to tears on the panel as the audience shouted him down and hurled abuse. It was a shameful night for the BBC and prompted thousands of complaints. The BBC underplayed the aftermath here. Recordings of that particular programme are particularly hard to find anywhere (odd, eh?) but regular contributor here TooTrue remembered that a fellow Biased-BBCer had mentioned having a version. So after a bit of tech stuff, here it is. Our grateful thanks go to both of them. It’s now hosted on EyeTube – my censorship-free video hosting site. It is disgusting. Don’t watch with sharp objects nearby. 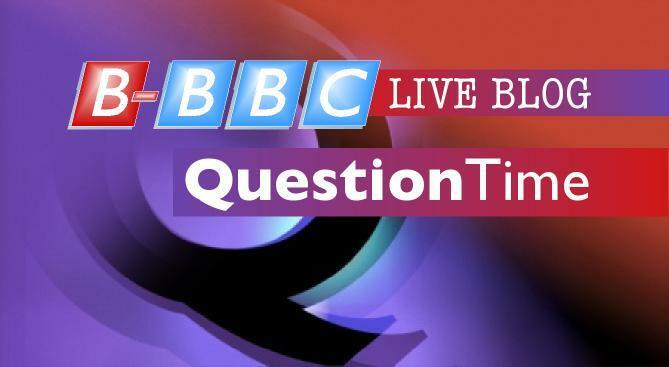 Question Time LiveBlog 8th September 2011: 9/11 Special! Question Time tonight is a 9/11 Special. In the cheap seats we have ‘playwright’ by the name of Bonnie Langford Greer, race-agitator Tariq Ali and a lady called Christina Schmidt who lost her husband serving as a bomb disposal officer in Afghanistan. TheEye is unable to join you this evening So leaves you in the splendid hands of the Two Davids…Vance and Mosque. Play nicely! Question Time comes tonight from Huddersfield in the Colne Valley – where the surrounding hills provide a stunning view of the permanent yellow smog over the town. To the east lies the tourist attractions of the ICI complex, various shopping complexes and Leeds Road – the main escape route – which is lined by a selection of everything’s-a-pound shops, Netto, Lidl, and derelict buildings. Who is actually on the panel this week? Let’s run it as a competition. Okay: John Redwood. Okay, no prize for knowing him. Wikipedia reckons Norman Baker is either a Parliamentary Under-Secretary for Transport or the navigator on Thor Heyerdahl’s Ra, Ra II and Tigris reed boat expeditions. The explorer would be more interesting. Rachel Reeves is apparently a Labour MP who is so unbelievably obscure that in her biography under “Personal” it only tells us that she moved house in 2006 and who her sister is. Yes, really. Fern Britton is someone who was last spotted when ‘retiring’ from daytime television two years ago. David Mitchell? No idea. A Tory MP who stepped down in 1983? A cricketer who played for Devon? Once? Or this murderer hung in Barbados in 2000? The studio might get a bit smelly if so. No, really…I give up. Who is he? The LiveBlog will also stay open for the bizarreness of This Week with Andrew Neil, and Michael Portillo. They are joined on the Sofa of Mediocrity by Postman Prat…Alan Johnson. David Vance, TheEye and David Mosque will be moderating the abuse here from 10:30pm. See you later! I know this is not a political blog as such, since it is BBC bias we oppose, but I didn’t want the 9th anniversary of the Islamist attack on the USA to go without comment. You see not only is it nine years ago since that dreadful day, but B-BBC readers will remember that just a few days later, BBC Question Time reached a new LOW with the baiting of the clearly upset US Ambassador Philip Lader. Just as we do not forget what Islam did on 9/11, neither do we forget how the BBC behaved 48 hours later, as the dead still lay where they fell. Greg Dyke said he “regretted” it – I was revolted by it. Even then, as the rubble of the Towers burned, the BBC put the boot in. Is it any surprise that nine years on, they lead their rotten news with the idea that Islamophobia is at an all time high in the States and that a foolish Pastor from Florida is the biggest threat to global safety? The BBC surrendered to Islam years ago. Never forget that. It explains why garbage like the 7.49am item on Today gets broadcast. Not all British Institutions failed to honour the fallen on 9/11, and the following short video makes the point well.